Throughout their 2018 touring season, Della Mae invited special guests to join them - further supporting their mission as a band to showcase top female musicians in bluegrass and roots genres. Some performances have featured guests Alison Brown, Avril Smith, and Bonnie Paine (of Elephant Revival). During the 2018 festival season, they welcomed guest appearances from Sam Bush, Hawktail, Billy Strings, and others. It has been a season of celebration, and felt important to them to capture the energy and camaraderie of this time period in recordings. 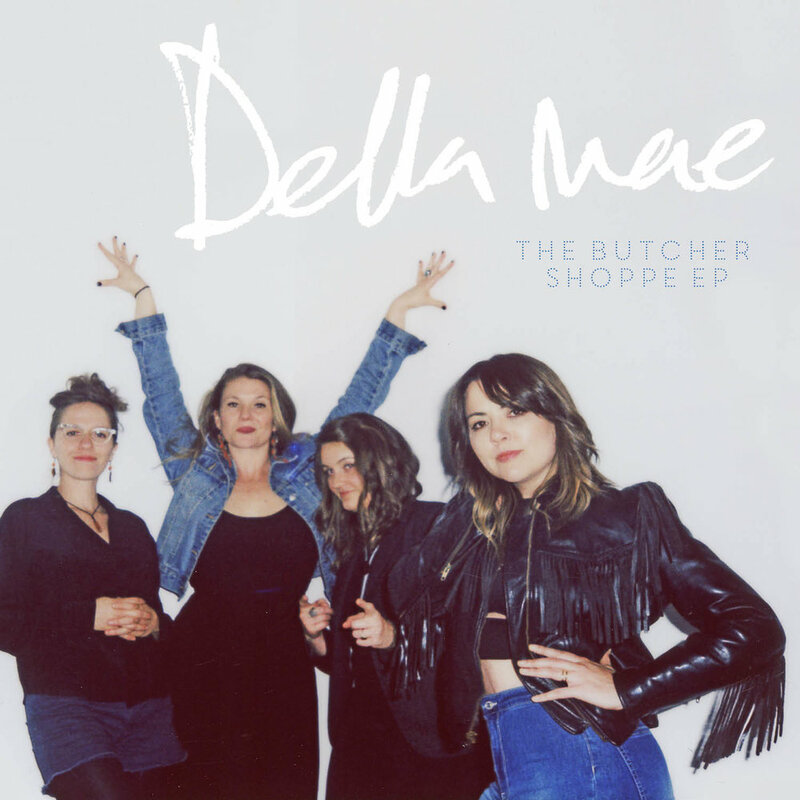 In October 2018, Della Mae gathered at The Butcher Shoppe recording studio in Nashville TN, named such as it is in a building that was originally a slaughterhouse that closed in the 1970’s. In the late 90's it was renovated to house mostly non-profit organizations, artist and small independent businesses. In the early 2000's, John Prine and David Ferguson started The Butcher Shoppe, and Sean Sullivan started there in 2009. A place tied to the community, Sturgill Simpson, Tyler Childers, Earls of Leicester/Jerry Douglas Band, Del McCoury Band, Tim O’Brien, Michael Cleveland, and others have made records there. 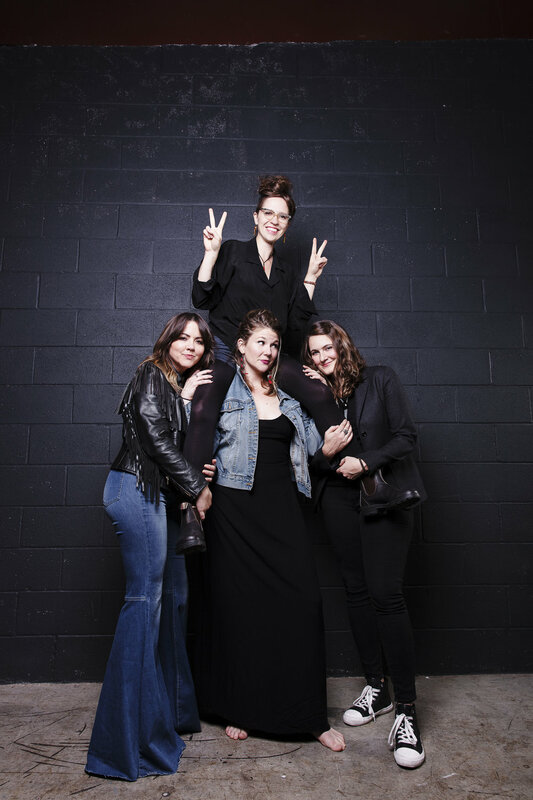 Della Mae invited 3 guests to join them in the studio on this project - original Della Mae guitarist Avril Smith, legendary banjo player Alison Brown, and rising star guitarist Molly Tuttle. In just two days, they laid down 6 tracks. Most parts were recorded while they performed together live in one the room, including simultaneous tracking of all lead vocals. Recording that way lends a feeling of being in the room with Della Mae, and captures the power of their genuine, authoritative musicianship. The songs on The Butcher Shoppe EP are all “fan favorites” - played live frequently but never before recorded. In addition to those, they’ve added one brand new original instrumental composed by band founder Kimber Ludiker (fiddle). JOURNALISTS: please confirm who is appearing on any shows you are writing about in advance as not all guests are at all shows! Below are photos of the guests who appear on this EP.